Astronomers at NASA’s Planetary Science Vision 2050 workshop on Monday laid out details of proposed space missions to asteroids to investigate the mysterious chemistry of these worlds and better understand the solar system’s origins. The research goals included searching for water and signs of life, and to investigate the potential of asteroids as space resources. Lucy McFadden, scientist at NASA’s Goddard Space Flight Center, proposed a mission to study the volatiles and isotopic ratios of these asteroids. These elements can give hints at the possibility of life. “We need to know what the extent of this competition or material is in the Asteroid Belt to know if we should be looking more seriously for life or signs of life in the Asteroid Belt,” McFadden said. McFadden believes there’s a better possibility of finding hints on these asteroids, and the mission would search for habitable targets in the Asteroid Belt. The large asteroids in question, Vesta and Ceres, both have evidence of water, and the radiation environment is better, too. “The radiation environment of Ceres is relatively benign compared to Europa and other known ocean worlds,” McFadden said. What’s more, missions to study the interior structures of asteroids can help us learn more about the solar system’s history. Rhonda Stroud, head of the Nanoscale Materials at the U.S. Naval Research Laboratory, proposed laboratory analysis techniques for samples from the solar system, as NASA and possibly private spacecrafts plan to bring back asteroid samples. “The origins of all solar systems are really written in the gas and dust where you’re building new solar systems out of ancient solar systems,” Stroud said. Finally, these missions have pragmatic purposes. 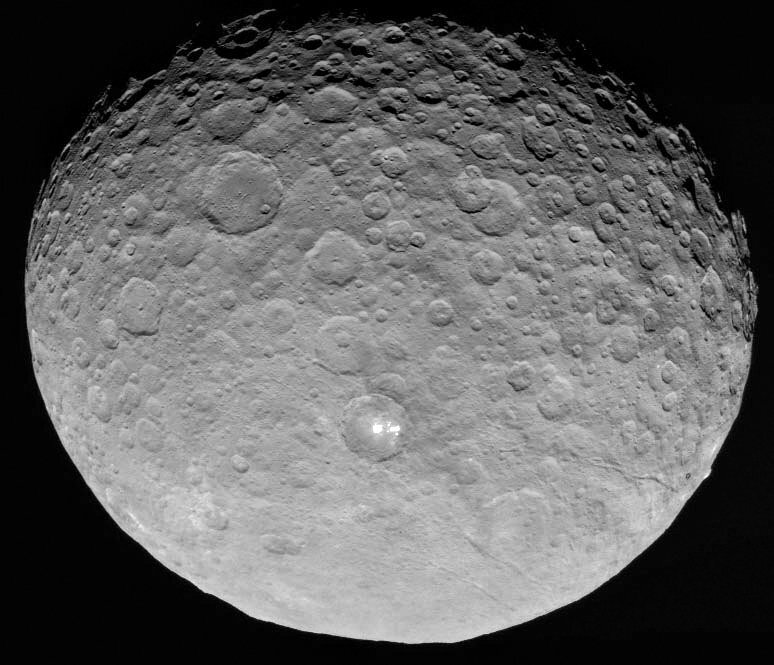 The missions can study the surface’s composition and structure to assess if people can use asteroids as space resources — for example, building a space station on Ceres. “As we find more asteroids and characterize them from the ground in our space-based telescope attributes, we’ll be able to compose or cook and find a mission that will meet the objects of expanding our knowledge of the main belt asteroids as a whole,” McFadden said.